The North Hills office of Fragasso is located in the Pine Professional Plaza along Perry Highway. Parking is available to clients at the front and rear of the building. The main entrance is located at the center of the building and visitors can take the elevators or stairs to the 4th floor. Fragasso’s fully staffed North Hills office consists of financial advisors, financial planning analysts, and a client account specialist. "Helping clients reach their financial planning goals is what I enjoy most. It is rewarding to know that my research can help improve a client's life." Bill joined Fragasso in 2007 after working as an intern. After graduation, he joined Fragasso as a portfolio manager but has since been promoted to a financial advisor. In addition to being a financial advisor, he oversees the staff and overall operations of the North Hills office. Bill meets with clients to discuss their objectives, as well as monitors and manages their investment portfolios, through the implementation of a personalized financial plan and asset modeling. 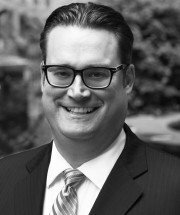 He has strong relationships with CPAs, attorneys and banking professionals helping him provide full-scale service to his clients. Bill was born in Pennsylvania but spent the majority of his childhood in Connecticut. After attending college in Ohio, he moved back to Pittsburgh and has been here since. He earned his bachelor’s degree in finance and economics from the University of Dayton. In his spare time, Bill enjoys working with local charities to help those in need including, Circus Saints and Sinners. He lives in the North Hills with his wife Laura and is active in the Catholic Church. T.J. knew he wanted to be a financial advisor from a young age. When his father passed away unexpectedly while T.J. was in college, his father’s financial advisor was there to reassure the family that they would remain financially sound. The comprehensive planning his father and his financial advisor had done prior to his passing helped relieve any doubts they had about their family’s future. For more than 20 years T.J. has spent his professional career helping others achieve that same kind of security in their financial future. Born and raised in Altoona, Pa., T.J. began his career in Philadelphia as a senior financial consultant where he was responsible for the top 2 percent of his employer’s ultra-high net worth clientele. 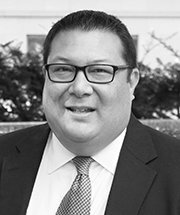 He moved to Pittsburgh in 2005, continuing his career as a director of client services and then becoming vice president, financial advisor at Fragasso. He is responsible for working directly with clients in the ongoing management and monitoring of their investment portfolios. This includes regular review meetings, implementation of financial plans and ongoing communication. By developing a personal relationship and discovering what the client is passionate about, he utilizes this motivation to help his clients work towards both their personal and financial goals. T.J. earned his bachelor’s degree in business management from Lock Haven University of Pennsylvania. T.J. is a member of the Financial Planning Association. He currently resides in Upper St. Clair with his family. In his spare time he enjoys getting outdoors to fish, hike and camp. He is an avid reader and, of course, he’s a Pittsburgh sports fan. T.J. is passionate about the community and works with several local charities. But most importantly, T.J. loves spending time with his wife, Chrissy and their two daughters. Kerry is a financial advisor at Fragasso. He has been in the financial services industry for eighteen years. Kerry began his career as an investment management analyst at Smith Barney. His strong analytical background enables Kerry to truly understand his clients’ goals. Helping individuals, families and business owners work toward financial security is a truly rewarding experience for Kerry. Kerry is native to Pittsburgh, and he currently resides in Allison Park with his wife. He earned his bachelor’s degree from Pennsylvania State University in economics. He recently completed his M.B.A. from Waynesburg University. Kerry’s hobbies consist of golfing, skiing and spending time with family and friends. 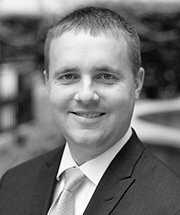 Andrew is a financial advisor and financial planning analyst in Fragasso’s North Hills office located in Wexford. As a child, Andrew’s parents instilled in him the importance of helping others, which ultimately led him to become a financial advisor. Andrew feels rewarded by helping his clients build a solid financial future for themselves and for their family. 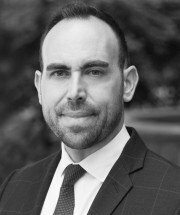 He has over ten years of experience in financial services and holds several certifications, such as: Accredited Wealth Management Advisor and Accredited Investment Fiduciary. Andrew earned his bachelor’s degree from Indiana University of Pennsylvania. He was born and raised in North Fayette Township and currently resides in Hampton Township with his wife, Christina, and their four dogs. Andrew has fond memories of meeting Mario Lemieux when he was just ten years old. He’s been an avid fan of the Pittsburgh Penguins ever since. 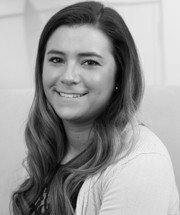 Brooke joined Fragasso in 2016, bringing nine years of client service experience to her role as client account specialist. In her previous position, Brooke specialized in human resources recruiting role at a large bank, where she also learned the importance of compliance and regulation in the financial services industry. After working for a large organization, Brooke was excited to shift gears and work for a smaller company where she can have a more personal, positive impact on clients. Born and raised in Moon Township, Brooke is the youngest of three daughters. She loves to spend time with her young nieces. Brooke also likes to attend country concerts and Pittsburgh sporting events. She loves to travel, seeing new places and having new experiences. Brooke currently lives in the North Hills.